Get T-Shirts for your Scout Group! Completely customise your t-shirts with a choice of colours and several images to choose from. These are perfect to allow easy identification when not in uniform. 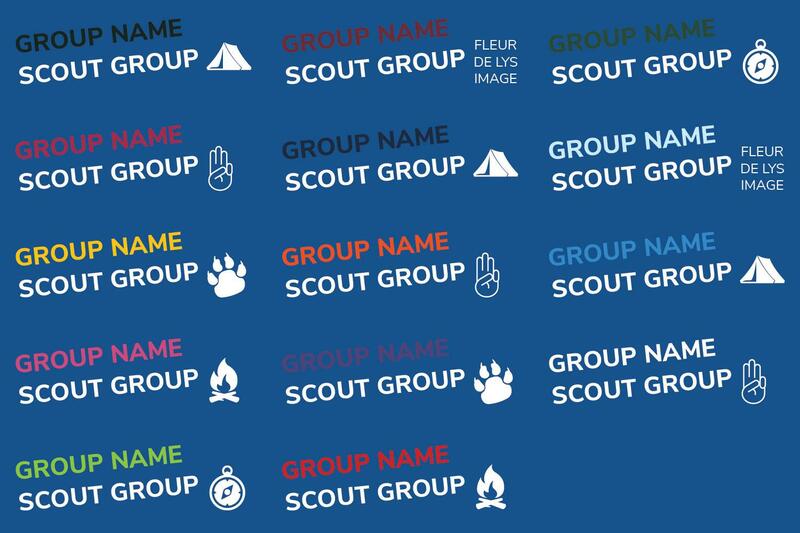 Please select the print colour you require your Group name to be, as well as the size and image to be printed. We will send a proof to you for approval, before proceeding with the print. Minimum order 6 per design - can be spread over various sizes/garments/colours. The above examples are interpretations of what could be done, and does not imply that clothing bearing these logos/wording have already been produced, or that permission has been given by the copyright/trademark owners of these logos for their use. Each item of clothing is printed to order, and no stock is held of items bearing the logos shown above. 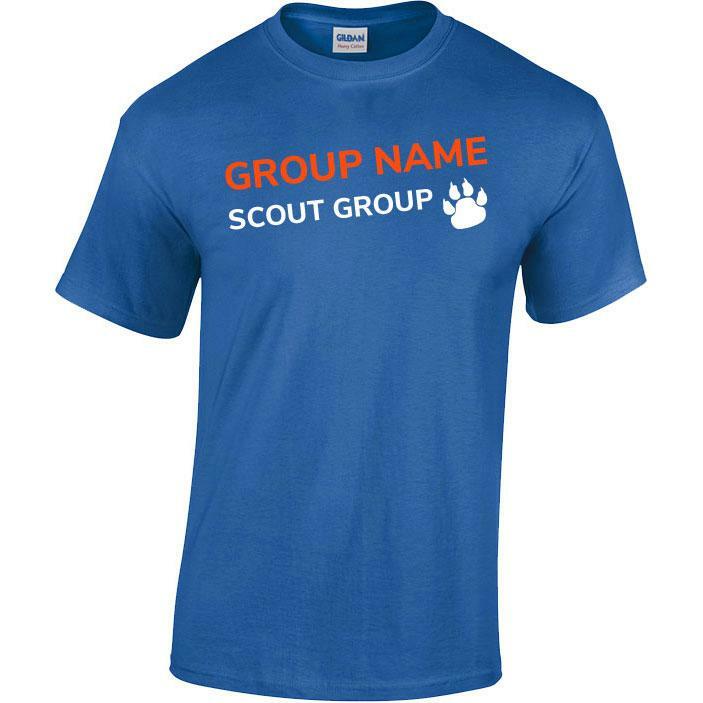 By placing an order the buyer holds responsibility of permission to print the logos shown.